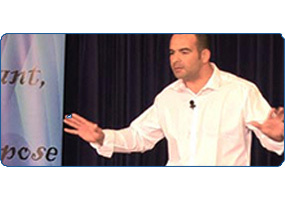 Looking for a motivational speaker? Hire multi published author and business award winner David Wills for your event? Welcome Fancy a better life but not sure where to start? The life you have always dreamed of is very much a possibility but you may need a little guidance to get there. I can help! I will mentor you within the areas you most need so you can start to take control of your own destiny and shape your future exactly the way you want it. 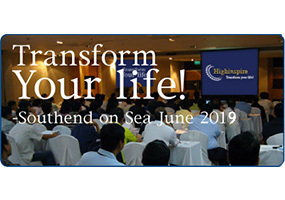 From poverty to graduation and from graduation to his first £1m in business, David will electrify audiences with real life stories of what it really takes to defeat ones demons and pus..
David Wills is considered to be one of the best transformation experts. Respected by business leaders and focused individuals, David has embraced the very fabric of why we do what we do. His talks and seminars are packed full with humor and drama but at the same time deliver a message that is uplifting, motivating and one that puts everything into perspective!.. Business and persnal coaching is what I do! If starting or running your own business is proving to be more than a challenge than you thought then I can help! There are many business coaches available to hire but it never ceases to amaze me of the amount of coaches wanting to help others who have absolutely no experience of being in charge of a company or employing and managing staff. Shockingly, many of these people may be working within the very accountancy firm you may use right now,..
2019 could be a very happy and exciting time for us all. Keeping head strong and focused is not alwa..
To motivate someone is easy, telling people great stories of success is relatively straight forward ..
Our seminars are not just designed to inspire you on the night, but to give you the direction and tools you need to change your approach to life. A good state of mind is the most valuable asset you have. David will help you put things back in straight lines and let you enjoy life once again! Read blogs, tweets and comments about whats happening as well as events taking place in your area. Be a part of what we do. To learn a little more about what David does, then check out the video's on the website and on YouTube too and don't forget to subscribe. Thank you David for a great day. The session was fun, enlightening and very informative. Thanks again. David’s presentation to a group of year 12 students was an extremely enlightening and knowledgeable insight into the careers available within the health and social care sector. David’s enthusiasm for his job was very infectious and all the students gained a great deal of understanding into the opportunities available to them in the future. Just want to say, thank you so much for what you did yesterday at St Thomas More High School. The feedback from the school and the boys was that they loved the day and the professionalism and encouragement from David. David demonstrated to us that anything really is possible. The level of inspiration he provided definitely changed my outlook on many levels. Davids well-received talk would be a great asset for any aspiring individual or organisations that really want to make a difference and succeed on a massive scale. You did an amazing job of inspiring us all. We Love hearing stories and about leadership and your quest for innovation. Both myself and my team are very excited to hear you speak again in the future. Thank you. Thank you for spending time with us and for doing an amazing job with our staff. It was straightforward and to the point and most of all fun, enjoyable and informative. We are all looking forward to having you back again in the future.